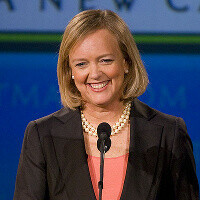 You might have already heard that HP has reconsidered spinning off its PC unit, but what could be even more interesting is that CEO Meg Whitman has confirmed that the company will make a Windows 8 tablet. There aren’t a lot of details about the upcoming Windows 8 slate, but if it arrives in the same time as Windows 8, that should translate into a release window in 2012. "We're at the beginning stages of a new segment. I hardly think that we’re too late, the work we’re doing with Microsoft is extraordinarily compelling, ultraportables are compelling," HP’s Todd Bradley added. After the huge TouchPad firesales, expectations were that the webOS platform is getting officially killed, but Whitman didn’t confirm that. Rather, she said that the company will unveil its plans in the next couple of months. Looking at the company’s review of the PC spin-off, can we expect it to change its position on webOS? Chances are scant, but seem to exist. I just don't get it... HP has this amazing mobile OS and they are throwing it away for something that may or may not do well again iOS and Android. When HP announced they were going to buy Palm, I thought they would play it smart. Put some beefy specs behind the new handheld. But instead they just put out a normal kinda phone and expected people to eat it up...and were actually disappointed when nothing came of it. Bring WebOS back. Make it more powerful than anything out there. Advertise it. Make it cheaper...hell take a loss if it means you don't have to license from someone else. But it may be too late for that. While I think a Windows 8 Tablet is a good idea, I just agree with you 100%. WeBOS is PERFECT for tablets, and could be the cash cow HP needs for that market. I do not think HP is cut out for the handset market, and should stay out of it where they were clearly over their heads. But the Tablet market is an extension of the laptop/notebook market, and HP and WeBOS could kill there. I do not think it is too late. In the buisness world, there is no such thing. Recover, learn from the mistakes you made, focus on tablets and make your mark!! The only way tablets generally outsell iPad's is by being a lot cheaper. I think the windows 8 tablet will sell well because of the windows brand. See, I don't think that's the case. I think people have this perception that Microsoft is lame and the cool thing to do is find the alternative to the common. I do agree, the only way to compete is to sell for less. Some company needs to take a loss to get their tabs in more hands. Sony does that with every PlayStation 3 they sell (although I'm not sure how Sony's gaming division is doing right now). But Sony sells a ton of Playstation unlike they did before they dropped the pricing. I 100% agree that WebOS is excellent mobile OS that should NOT be killed off. BUT, I am not convinced that HP is the proper home for it. To me, a mobile OS is just a conduit for a company's services. I don't see what services that HP can really provide for a mobile user. Think about it, the major mobile OS's all are backed by some sort of cloud services. Google has Android, Microsoft (Bing, Hotmail) has WP7 and Apple (mobileme, iCloud) has iOS. In my opinion, this is what I think should happen: 1) Yahoo should buy WebOS. 2) Make the built in apps Yahoo centric (mail, maps, news, finance, shopping, etc) 3) Build up the current App Catalog with ads (gotta make money somehow) 4) Write in drivers for hardware of all the current best selling Android devices 5) Open source it and/or offer it free (or next to free) to the major manufacturers. This would at least bring Yahoo a little closer to parity to Google (not close, but closer) and get a larger user base. I would still buy a WeBOS device before any other. I just am not sure if Yahoo has deep enough pockets to make it work. I love your idea if they do!! HP is a company in search of a strategy. They don't know what they are going to do in the future. I suspect the move to 'reevaluate' webOS is happening because there were no credible offers, and Meg didn't want to take the hit that a write-off would have entailed. Hang onto your chairs! This is going to be HUGE! just look at the current ecosystem of PC's worldwide. Bye bye ipad. W8 will make it look like childs play. Kind of like an etch a sketch!!! LOL!!!! W8 will be awesome but WebOS still has so much potiental and it should not go to waste.